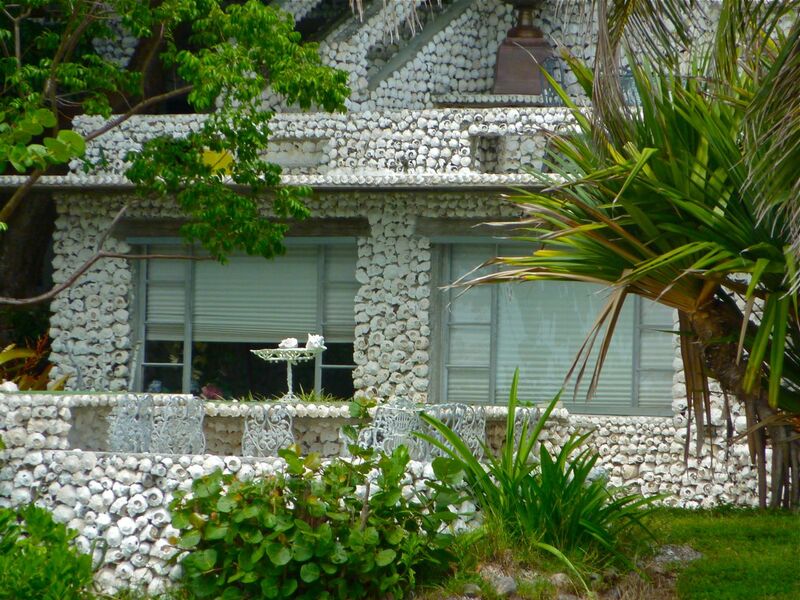 Every inch of this house on Demere Key (just off Pine Island) is encrusted with seashells. 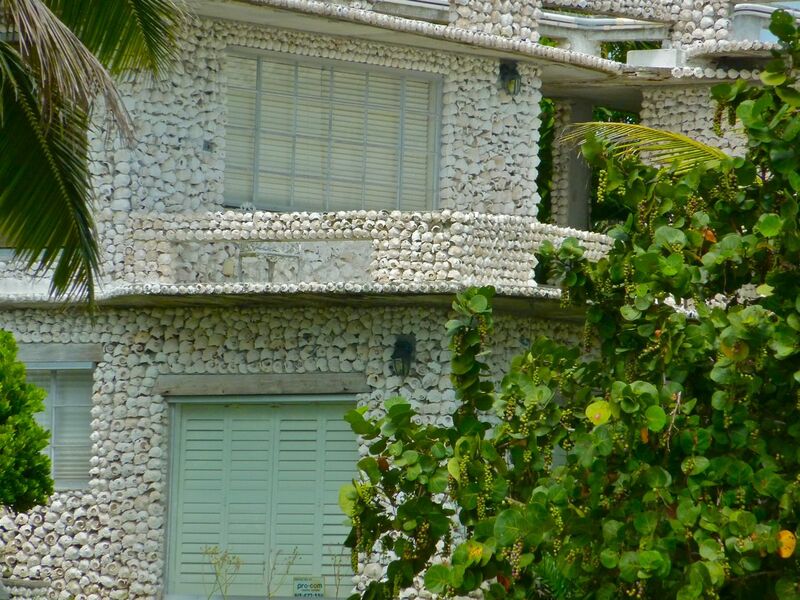 It is mind boggling to think about adhering each and every one of those whelk shells (they look like conchs too) to the outside walls….. much less, collecting all of them together! 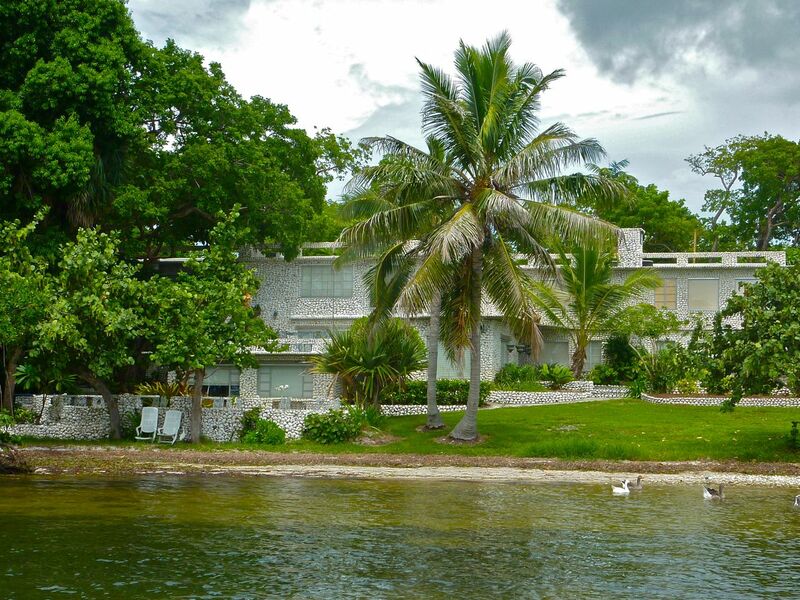 The house was originally built by Phil Degraff to be a winter resort and named it Sea Grape Lodge. The lodge closed a number of years ago and now is a private residence so we tried to be as respectful as possible while driving by in our boat…. but it’s like stopping in front of a house with every inch covered in christmas lights… it’s mesmerizing! I was on overload with eye candy! After first posting this, I received some rich historic information from quite a few people who commented on this post. Please click on the title or comments to read many wonderful stories of folks who either stayed on Demere Key or have fond memories of the property. wow i would love to live in that house. it would be fun to just walk around the house looking at every shell!!! Would love to be able to see it in person. I went to Pam’s Small Serendipities website; the history of this structure is fascinating! 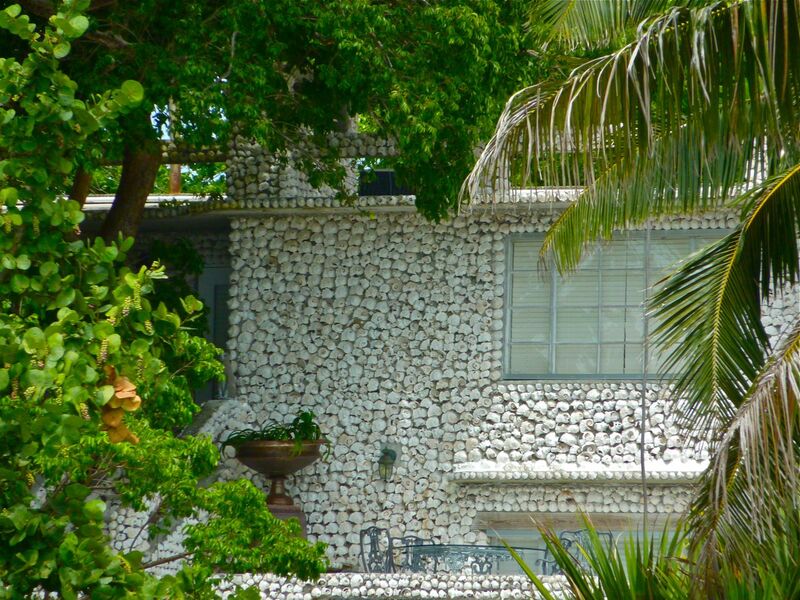 I wondered how Mr. Demere came up with all those shells and was amazed by the answer. 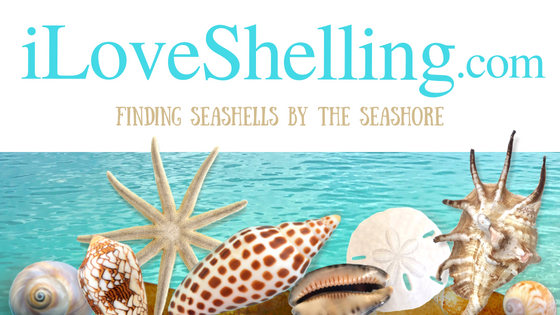 Thanks, Pam, for yet another virtual “shelling” trip! that is incredible! I wanna live there when I grow up! omg! what a labor of love. must have been sad to leave behind. off pine island where?? i’ll be looking for it! Look at all those huge whelks. Oh my gosh! How crazy amazing!!! I have to feature this!!! Now that’s what I call the ULTIMATE sheller’s dream! Fabulous! That’s amazing! I can’t believe that’s here in FL! I am dragging my husband to see this one on our way to beautiful Sanibel in a few weeks! 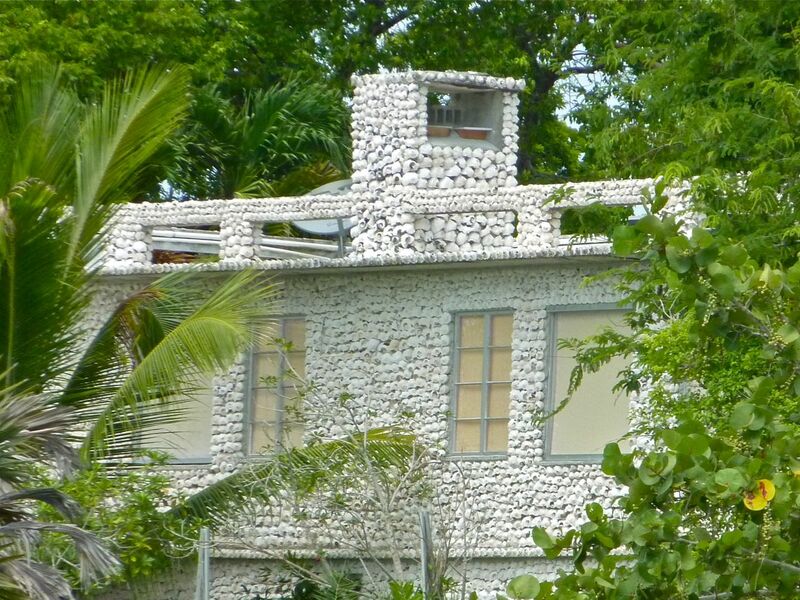 Wow, what a seashell house!! Wow what a place..Just think about finding those shell mounds and deciding to do such a fantastic project with them.Wonder how long it took. On my way to Sanibel in the morning. i cannot beleive my eyes, that someone could attach all those shells and I just want to find a few good ones. Pam, can this only be seen by boat? Yes, I believe that by boat is the only way you can see it. That is the most beautiful house in the world! I think i can speak for everyone who reads this website when i say that i would love to live there! rocky and diane, ahhhh, so cool. Did you take pictures? I’d love to know if the inside had been encrusted with whelks in any way….. or if they used shells in any other decor or mosaics. I am very familiar with that house and it’s history, you have a few things wrong, first of all the Island was named Demere Key, The island is named for its early owner, Lewis Deméré (1813 – About 1880), who was born at St. Simons Island, Georgia. He and his wife, Virginia Clancy Barnard Deméré (1821–1900) and son, Raymond Barnard Deméré (1843–1905) lived on the island until about 1880. The mna who built Seagrape lodge is named Phil DeGraff. Also, he did not collect the shells himself, it’s actually a sad story because local word of mouth has it that he offered cash to commercial fisherman for each boatload of Whelks they could deliver to him, unfortunately that meant they destroyed centuries old Indian Mounds to get those giant Whelks, it’s been extremely rare for many years to find Whelks of that size. you can find lots more info if you visit the sanibel library, the captiva library and the pine island library, it’s sad that so much of our rich history is accurately known by so few and they disappearing rapidly. It is called Demere Key. It is @ the end of Maria Dr. On Pine Island. Thank you so much Arthur for such great info and for the corrections. I had a hard time finding any info on this house but I figured it has some great stories. I actually vacationed there as a teenager with my parents and sister when the lodge was in its first few years in operation. Phil DeGraph owned a lodge dating back to the late 1930s in Trout Lake Michigan in “da UP” which is now a private residence. 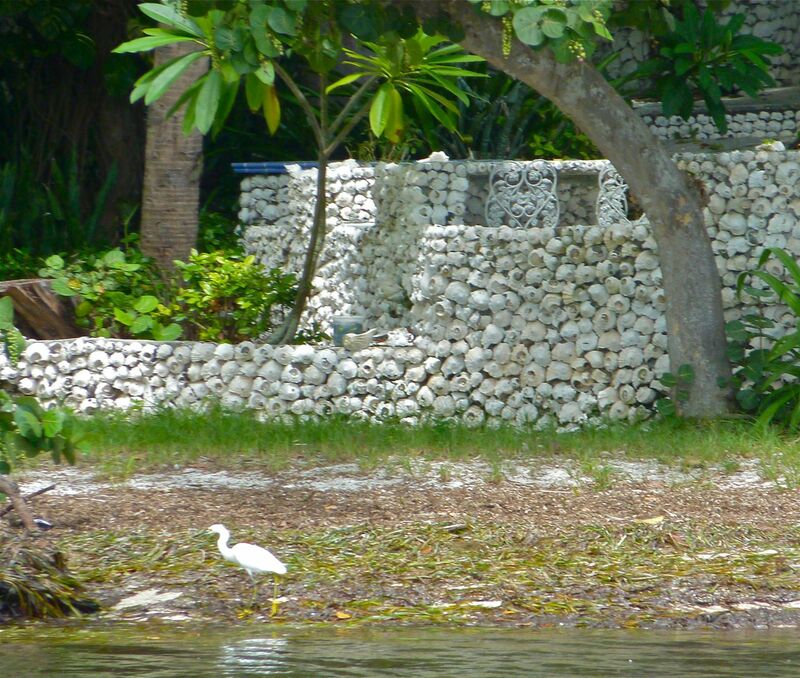 It was a seasonal operation and Phil built Sea Grape Lodge to have a winter operation. We visited Phil DeGraph’s lodge several summers. Phil was a colorful guy. He always wore swim trunks and a matching cabana shirt. The Michigan operation was on Wegwas Lake which he owned completely and only non powered boats were allowed. The plans were all inclusive with great foot prepared at both locations. He did not serve alcohol… believed the food would stand on its merit. Phil published a cook book approptiately titled “Birches, Beaches, & Belches”. This is an awesome house. I had the opportunity of walking around the grounds and meeting the women who lives there. She does a wonderful job of the landscaping. To see it from the other side is also just as amazing. I was in awe the whole time and would like to read of more of the history. Thank you Arthur for the info. We did go to the library on Captiva but we didn’t know the exact name at the time. I’am fascinated by this island and house. I am so glad we got the chance to see it. I had the pleasure of attending a wedding there in 2002. The house was fascinating! It was lavishly updated however the historical charm was tastfully retained. A once in a lifetime opportunity considering it is now a private residence. My wife & our 5year old son spent a glorious 2 weeks in the Lodge in 1962. Phi was a great cook and host. A marvelous place we never forgot. My first wife and I were invited to join the Seagrape Lodge back in the early 60’s by Judge and Mrs. John B. Fassett. As I understand it Phil Degraff was short on money and the Judge and a swimming pool contractor owned the lodge but Phil ran the lodge. Phil, I heard was a Methodist Minister at one time and had not only a degree in biology, but one in Theology as well. He prided nimself in growing things that the local garden club said could not be grown that far south. Phil was a fantastic chef, story teller and tour guide. Many happy evenings with friends were spent there until he got ill. He tried to turn the place over to the adubon society and many other organizations but wound up selling to the Judge and pool contractor. That is all I know about it. Correct me if I am wrong on the facts. OK? I stayed there for a weekend several years back. it was vacant at the time. I have a cookbook written by Phil DeGraff that gives all the details of it’s history along with with many of his recipes. He was quite a character as evidenced by reading his book. The book is called Birches, Beaches, & Belches. The pool contractor was Gully Pools in Fort Myers and I believe it was Mrs. Gully’s father who lived on the Island in a house to the side of the Sea Grape Lodge in the early 80’s. Thank you for even more info, Karen! It’s so much fun to grab bits and pieces from everybody’s fond memories of this marvelous place. I grew up on Pine Island. In the mid 60’s ,not quite sure what year, my aunt and uncle were caretakers at Seagrape Lodge. I was about 13 or 14, and went out there to spend the weekend. It was the most awesome place. There weren’t any guests at that time, so my cousin and I wandered around and just enjoyed it. It seemed like a dream. I always wondered about it, and so it was so nice to see this website. I ride past this house 6 days a week going to work on Useppa Island. I had remembered seeing a show about it before I started working there. It is just one of the awesome sights I get to enjoy daily.